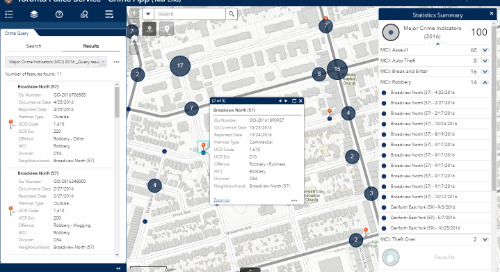 BC Assessment has overhauled its property information search application and one of its new features is an interactive map powered by ArcGIS technology. Read about the new application and the Web map that's now giving property owners in BC a new perspective on their property values. 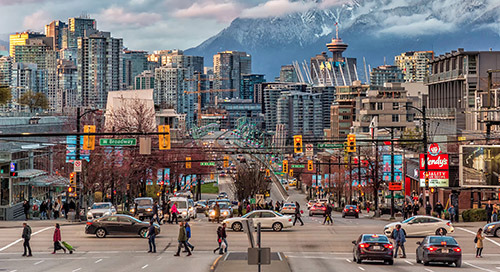 BC Assessment has made searching for and comparing property information a snap thanks to significant improvements made to their online application e-value BC. 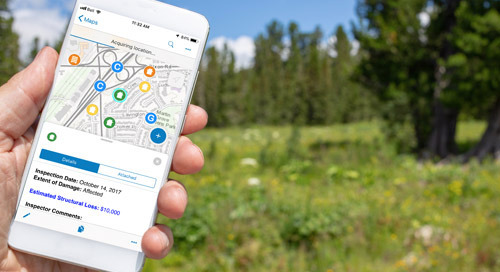 The independent Crown corporation, which is responsible for property assessments in British Columbia, has recently launched a revamped application—powered by Esri technology—that provides fast, easy access to information on just about every residential property in the province.  Users simply enter an address into a search field and within seconds property assessment information is displayed, as well as a picture of the property and the property’s location on a map. The e-value BC home and search page. 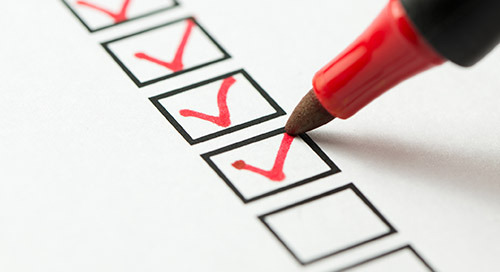 Users can search for properties by address, as well as information included in assessment notices such as roll or plan number. Address search result from e-value BC. 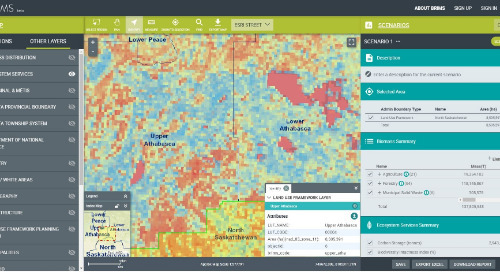 The interactive map—powered by ArcGIS technology—gives users instant access to assessment values of neighbouring properties. The interactive map is among the application’s cool, new features. The GIS-based map gives users a big picture view of a property’s value in relation to surrounding properties. 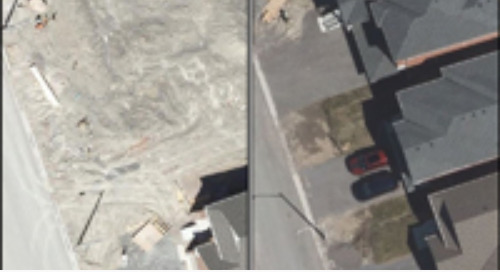 By clicking on neighbouring land parcels, users can quickly review and compare assessed property values, a feature that was previously unavailable. The Web map in the new version presents the information on a map, giving users a more logical, holistic view of property values by encompassing an entire neighbourhood. Property search comparison using the previous e-value BC system (left) and the new system (right). 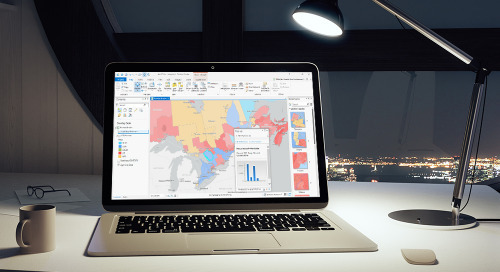 The GIS-based map moves information previously displayed in tabular format onto a map and also gives property owners insight into the property values of an entire neighbourhood, not just one street. 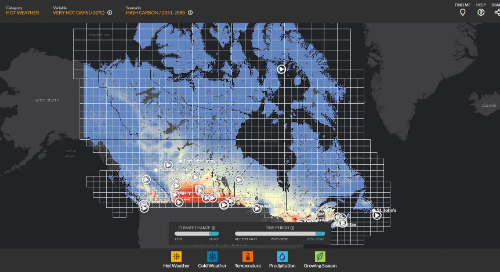 A combination of in-house GIS expertise and ready-made developer tools available in ArcGIS meant BC Assessment required very little support from Esri Canada to get the Web map up and running quickly. BC Assessment developed the map in approximately three weeks using ArcGIS for Server and ArcGIS Online. Land parcel information sourced from surrounding municipalities is stored and organized into a geodatabase. BC Assessment publishes this information to ArcGIS Online, where it is integrated with property value assessments into a topographic basemap—the Community Map of Canada—which is managed and updated by Esri Canada based on contributions from communities and organizations across the country (you can read more about that here). BC Assessment, in turn, integrated the Web map into the e-value BC application. Search results are programmed to display on the Web map by BC Assessment. 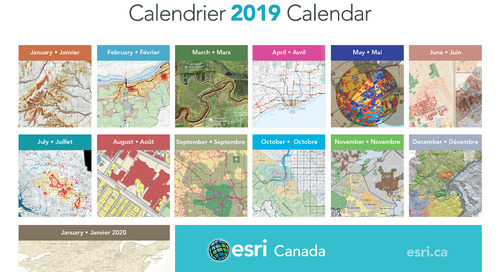 In terms of the Web map’s content, BC Assessment is effectively sourcing land parcel information and basemap content from our country’s most authoritative source: municipalities. 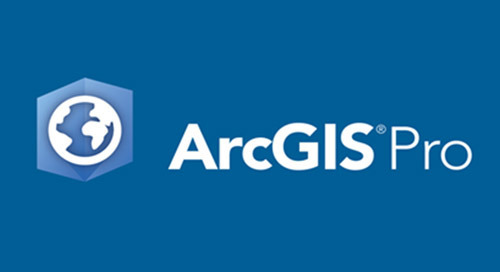 Also, because the basemap is hosted in the cloud using ArcGIS Online technology, BC Assessment does not need to create and maintain its own in-house map. 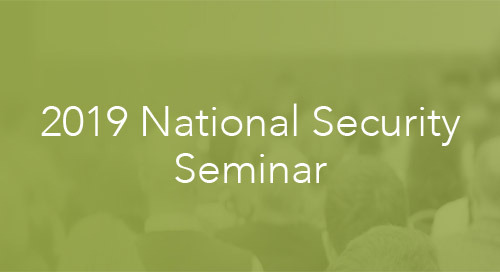 A secure cloud infrastructure and Esri Canada’s full-time production team handles that. This allows BC Assessment to focus its efforts on maintaining accurate, up-to-date property assessment values for BC residents. 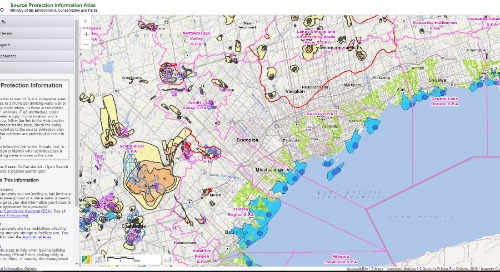 BC Assessment is certainly no stranger to embracing GIS technology in an effort to improve the services it provides to BC residents. 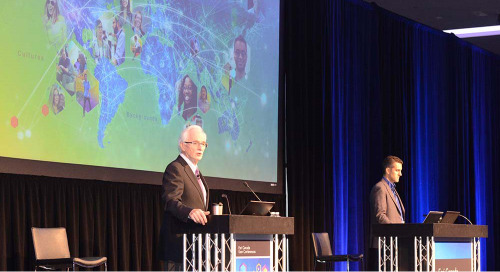 In early 2014, the organization began using Esri Canada’s geospatial 3D assessment analysis solution, Assessment Analyst 3D, to enhance the way it conducts assessments and realize operational efficiencies. We look forward to see what they have in store for us in 2015.